I wasn't going to admit it but you have got it. 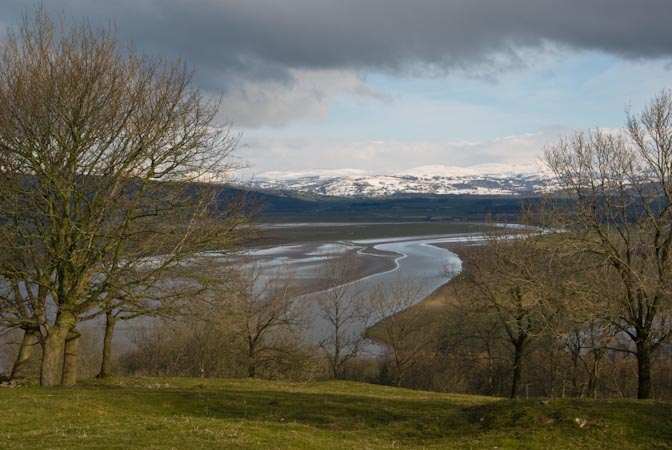 It is the Kent Estuary where there is, indeed, a good bore for kayaking with. Done it twice your secret is out. See you there 1 hour before HW. 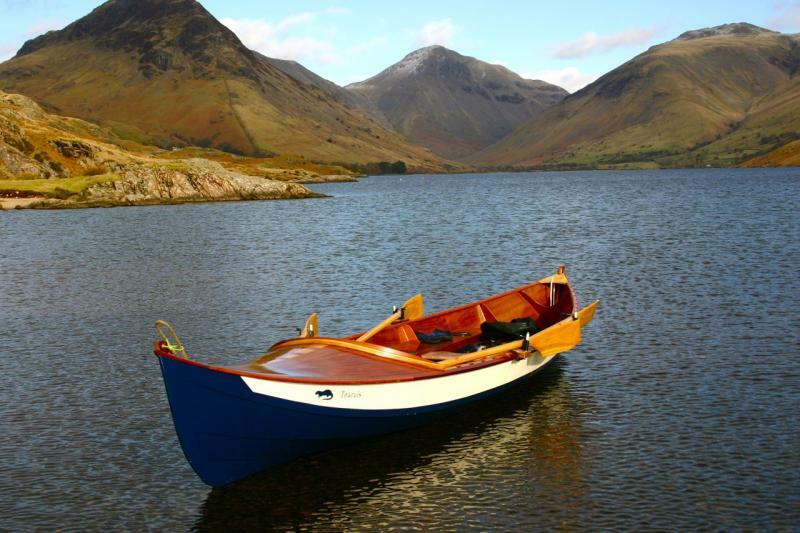 This is Wastwater in the Lake District, it is about 3 miles long, and apparently the deepest lake in England. 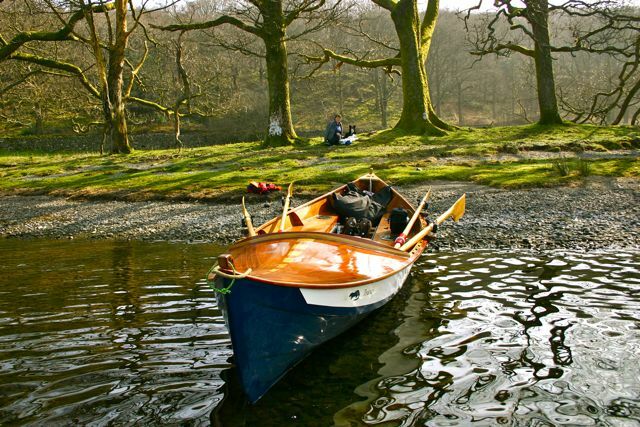 You are not allowed to sail or use a motorboat, but it is OK to have small craft on it. There is no slip way, you just have to manhandle your boat down to the waters edge. In the summer we will come here probably twice a week, row down the lake anchor at the north end under the mountains and have a picnic. Its a fantastic place. On the way back we will let the dog out onto the shore and let her run back for a bit of exercise, its quite a novel way of walking your dog ! We have been getting ready for our west coast of Scotland trip. We have been getting up and doing early morning rows, to test the equipment and build the skills of the skipper and crew ! 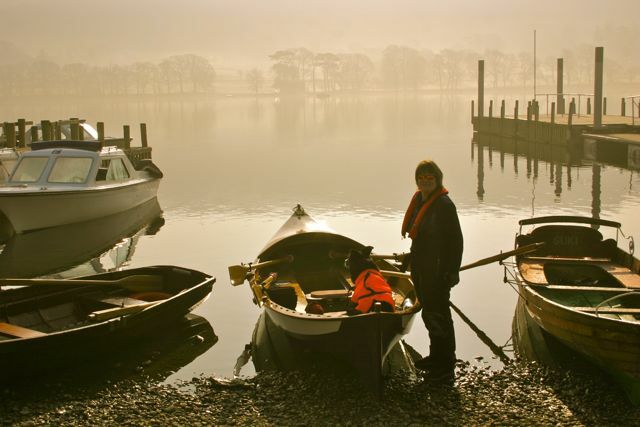 These photos were of a beautiful early morning mist. We had a fantastic row. It took us about 1 hour 20 min to do the full length of the lake. We had a stop at the south end for an early morning snack and back the trailer before the lake filled up with grockles. Which lake was it you were on this time? It looks like Coniston?? 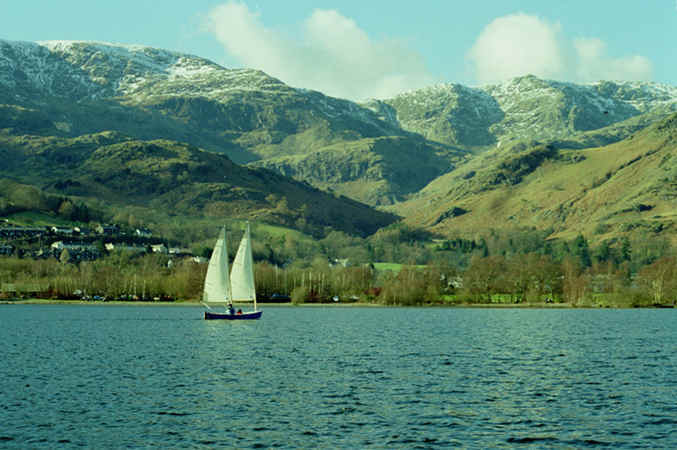 Of course, you were right, it is Coniston.